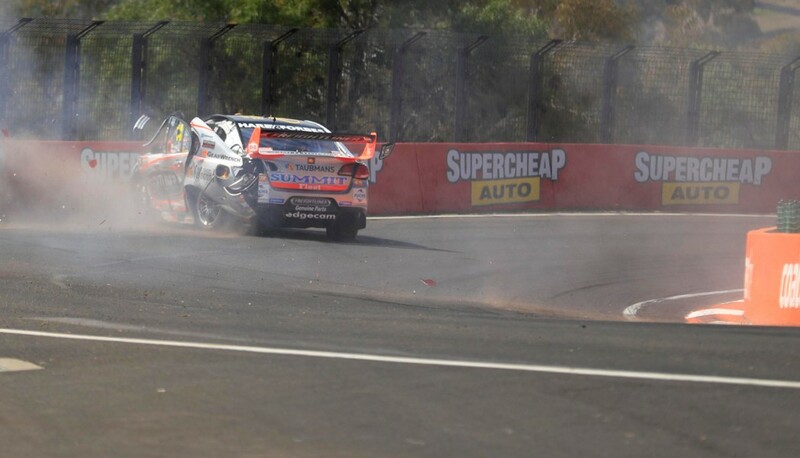 Brad Jones Racing’s tumultuous Supercars season has continued in opening practice for the Supercheap Auto Bathurst 1000, with Tim Slade crashing heavily. Slade lost the rear of his Freightliner Commodore coming through the Esses while at the top of the timesheets, 32 minutes into practice one. 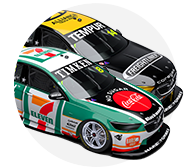 BJR’s year has been marred by major incidents, the team having built up a new CoolDrive Commodore between Sandown and Bathurst after Todd Hazelwood’s accident with Jonathon Webb three weeks ago. The car has been returned to BJR’s garage, where the team is inspecting the extent of the damage to the left-rear corner. 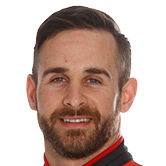 “We made a [set-up] change to the front, went out, the car was awesome, really comfortable and I just lost the rear, couldn’t collect it and collected the fence pretty hard,” Slade said. “I’m not sure what the extent of the damage is. I guess the guys will have a look at it and go from there. “Obviously it was too [fast on entry] because I ended up in the fence, but it didn’t feel that much different to any other laps. 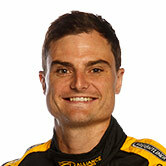 Slade’s co-driver Ash Walsh has also had a troubled build-up following a sportscar crash at Phillip Island last week. Walsh is waiting to turn laps before a call is made on his fitness to continue this weekend. 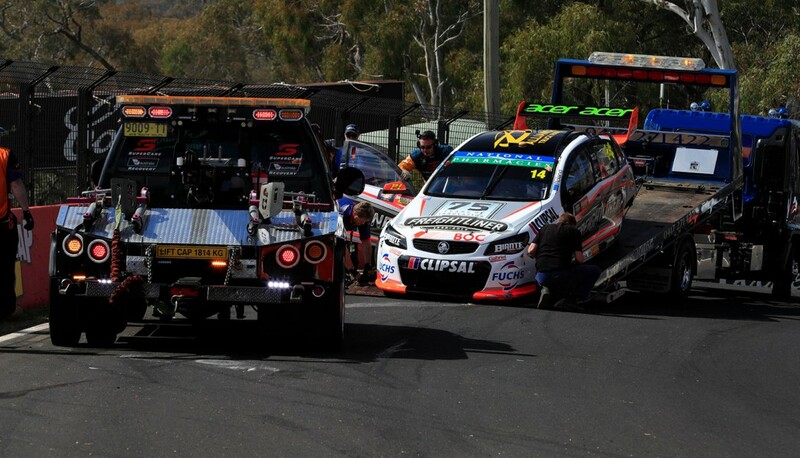 Before the car had been recovered, team co-owner Brad Jones expressed hope it could be repaired for the co-driver session starting at 12:30pm. “It got away from him at the rear a little bit, the car was a bit oversteery, obviously,” Jones said. “It’s taken quite a hard lick on the left-side rear, hopefully nothing structural. “We just need to make sure we don’t lose any more track time than we need to.